This game was co-designed with Ossian Borén. 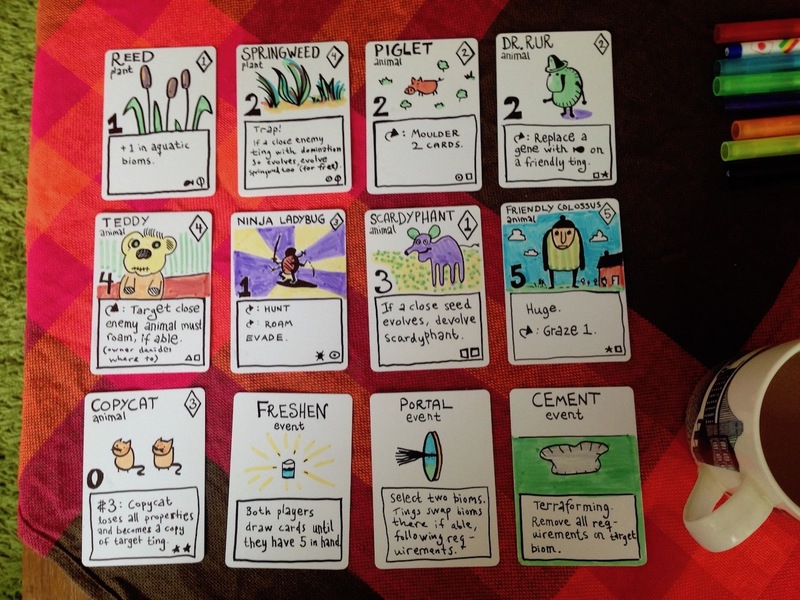 We wanted to make s collectible card game (think Magic the Gathering) but where the players themselves were allowed to design the cards. 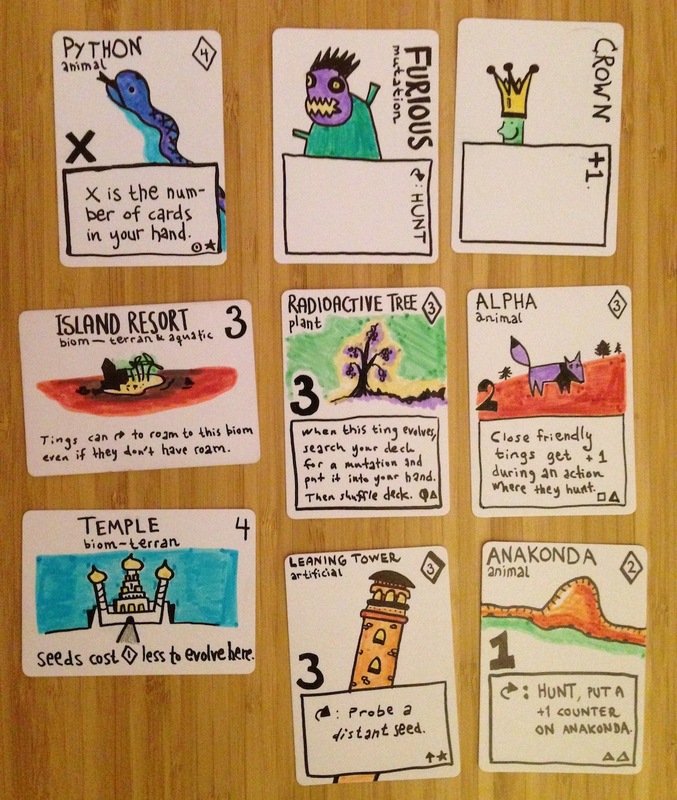 We developed the rules at the No More Sweden game jam 2015 and during later playtests in Gothenburg. We also made a website (link above) with a form for entering cards into a shared database.